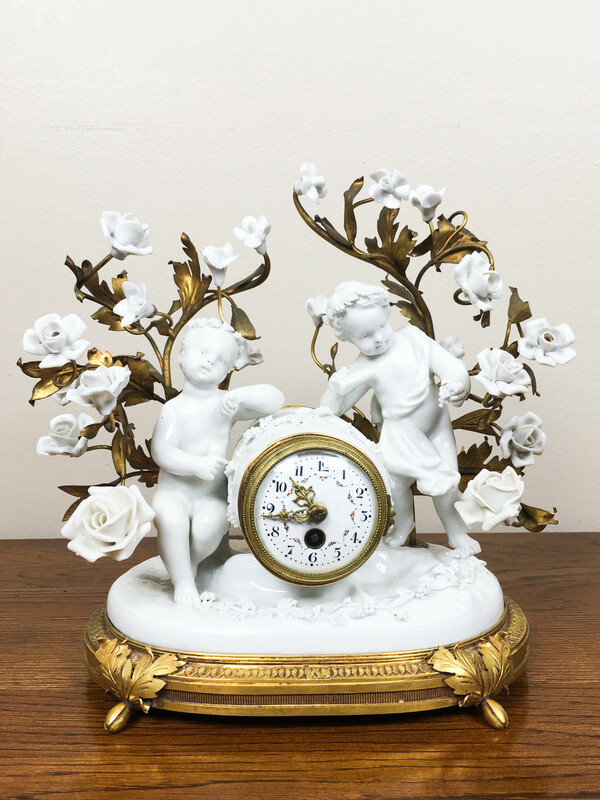 Mid 19th century French capodimonte porcelain and gilt bronze mantel clock. 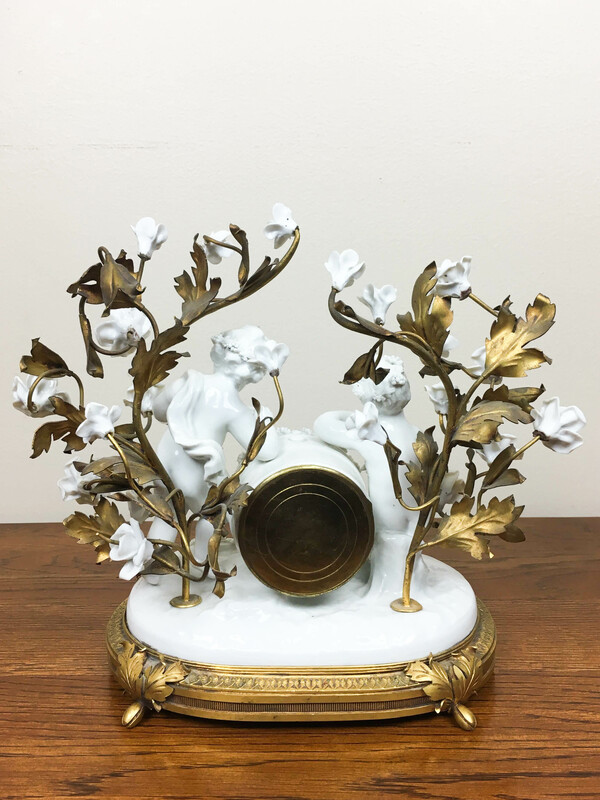 The case is a carefully molded arrangement of porcelain flowers with gilt bronze foliage. 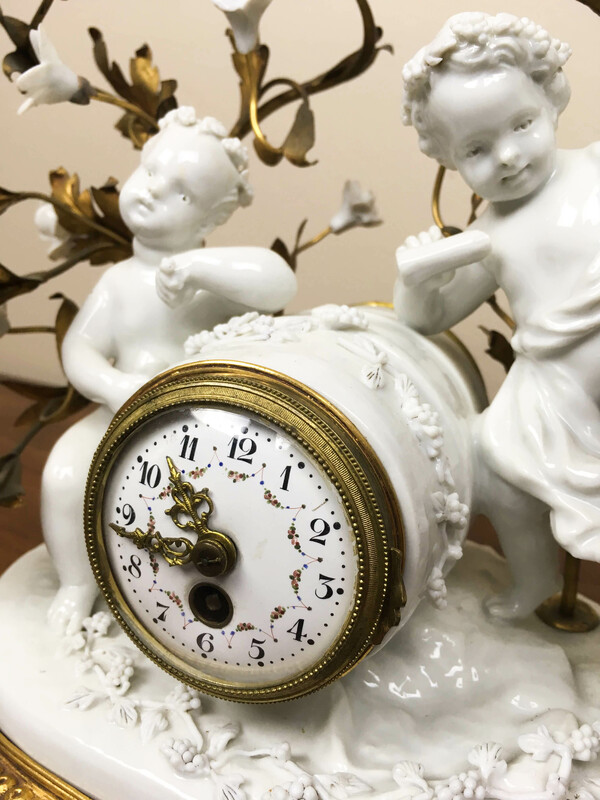 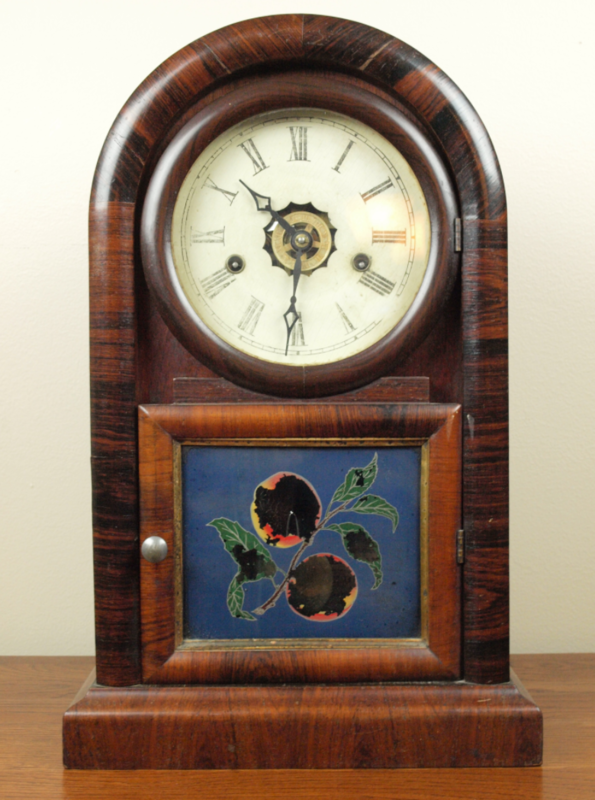 Two “lounging” figures frame the clock dial. 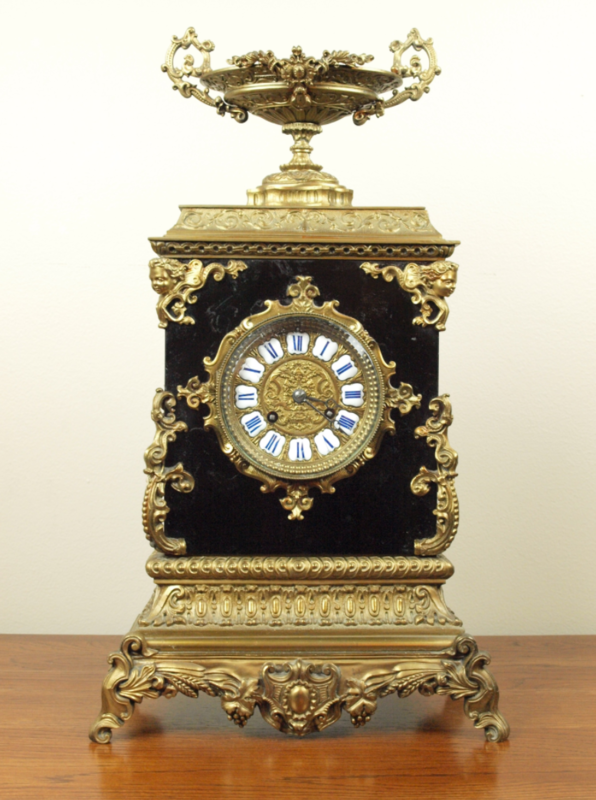 The cast gilt bronze bezel covers a porcelain dial with painted arabic numerals. 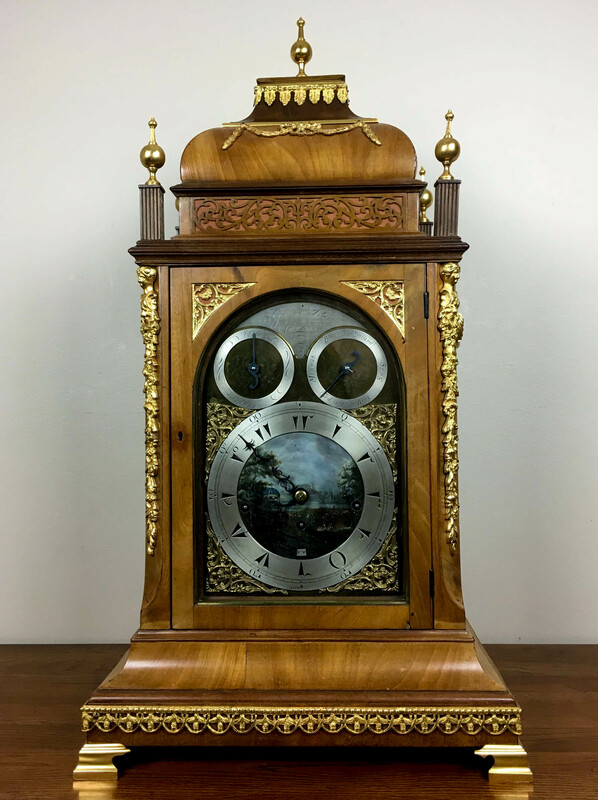 The hands are made of bronze and gilded. 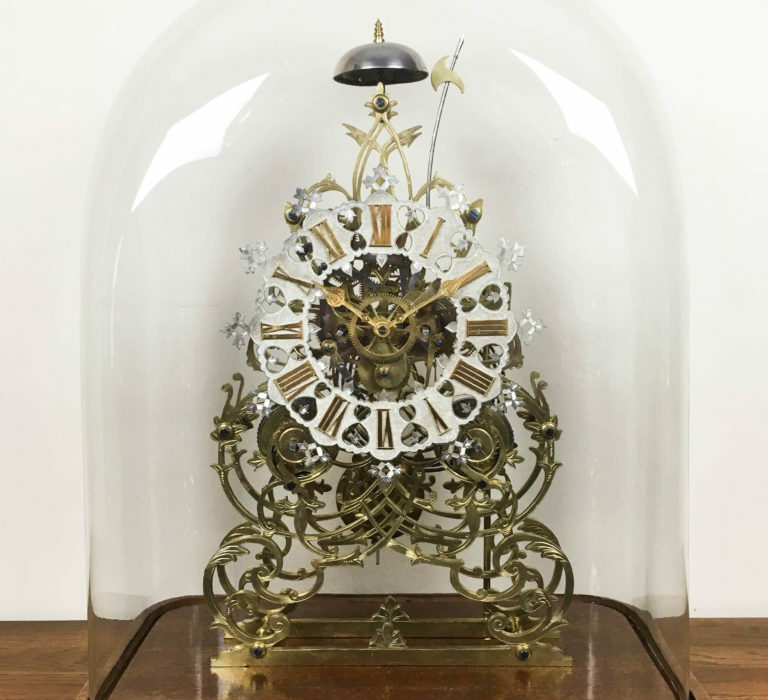 The movement is an eight day time only with a cylinder escapement.